Pre-Halloween shout out to our favorite summer camp horror flick, Friday the 13th (or for camp directors – aka “How Not to Deal with Difficult Camp Parents”). 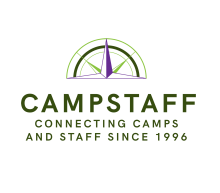 It should go without saying that this is probably not the movie to show on Movie Night at camp (R-rating not withstanding) but with summer still months away, a little fright night fun with a summer camp setting can help get staff thinking about camp – especially if your camp also does Halloween in summer. Between Animal House and Footloose, Kevin Bacon starred (and died) in Friday the 13th as the character, Jack. It should be noted that Jack might have survived the deranged killer if only the camp’s archery instructor bought the safer target point arrows for archery class rather than the razor sharp hunting arrow that impaled poor Jack!